Curio. 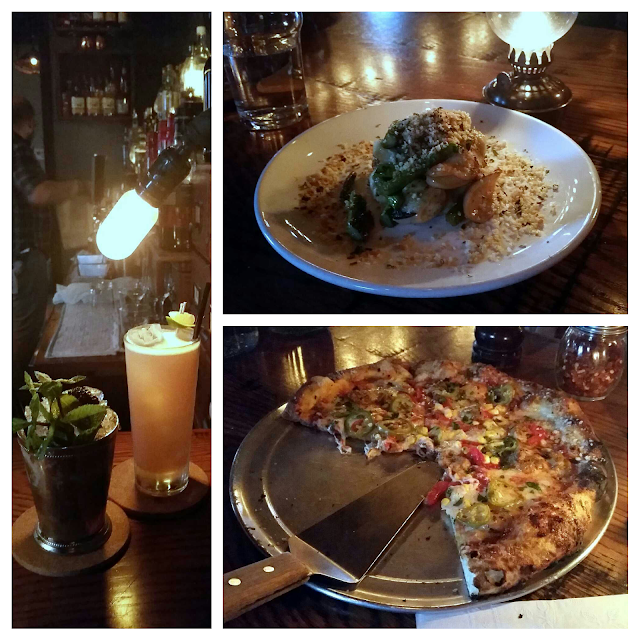 This is one of my new favorite restaurants in Columbus because the atmosphere, the drinks, and the food are hard to beat. 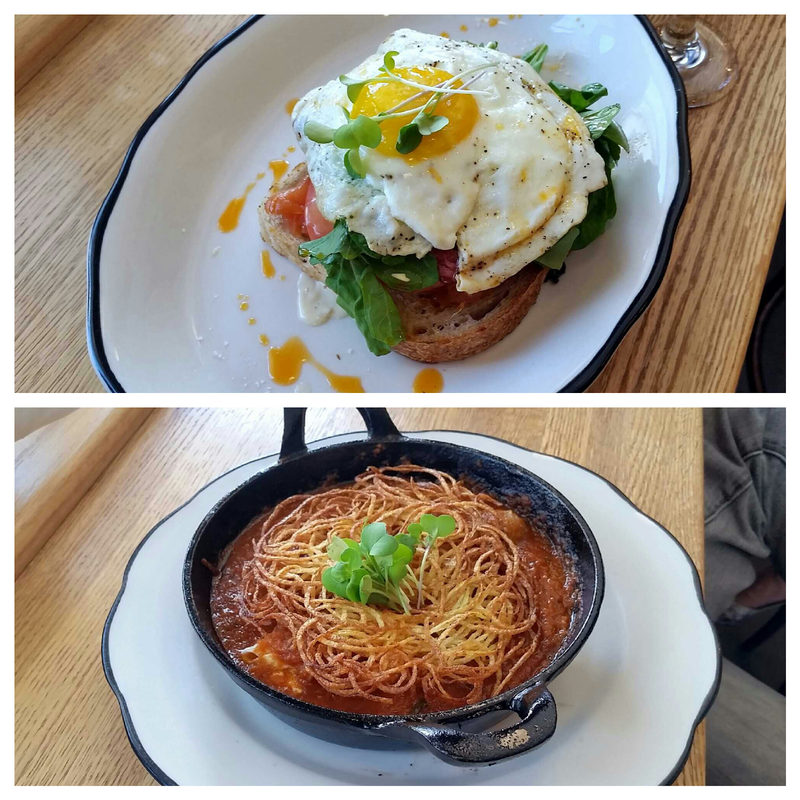 I really love the vintage vibe and everything we tried was delicious. We each got a drink, then split ricotta gnocchi and a pizza that was so spicy that I got a tummy ache the next day. But totally worth it. The Market Italian Village. 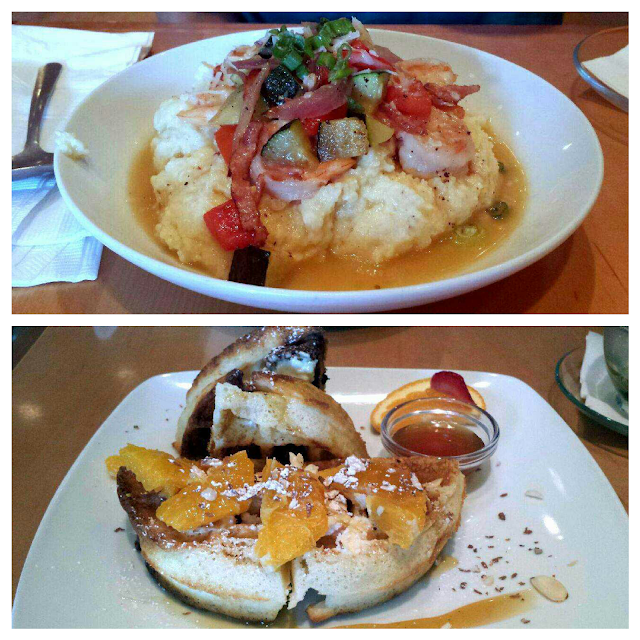 Another restaurant I'd add to the amazing brunch repertoire available in Cbus. I loved sitting at one of their huge open window seats, so I felt like I was dining outdoors minus the humid heat. 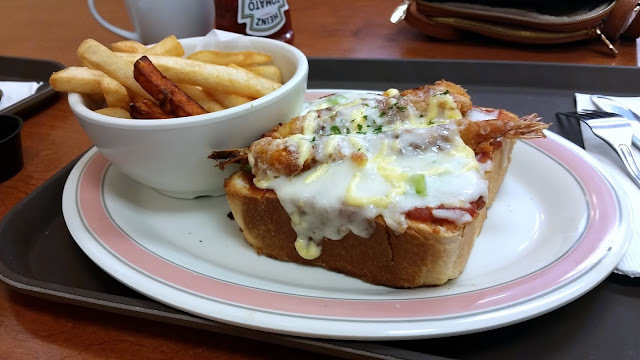 The smoked salmon BLT was great, but the baked egg dish was the star of the show. Bonchon Chicken. 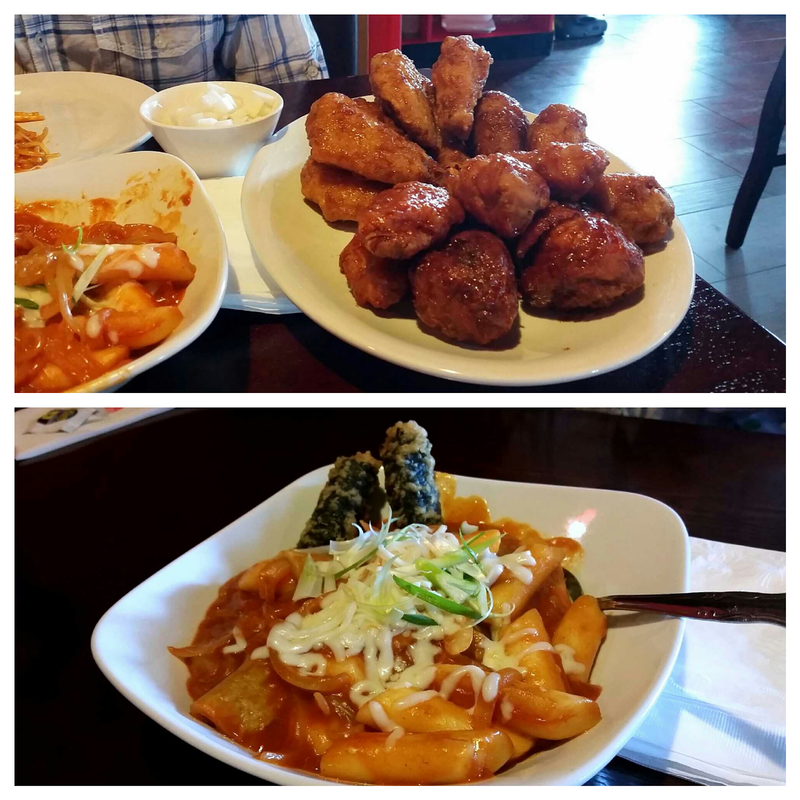 They finally opened a Bonchon in Cbus, and their Korean fried chicken is as wonderful as I remembered it to be when I first tried this chain in NY. They remain searing hot and crunch on your plate for a long time, and they reheat nicely in the oven the next day if you have leftovers. Also, the ddukbokki is a bit on the pricy side, but they add some variation to the dish but serving the dduk on a bed of vermicelli. ZenCha Tea Salon. This is a great place for tea, although the brunch wasn't quite as good (likely because Cbus has many other places that steal the show). We tried the Arabian Nights waffles and the shrimp and grits which were only okay, so I'm not sure I'd try their brunch menu again. Forno. This restaurant on High Street has an amazing happy menu (1/2 off all drinks, apps, and pizzas) every weekday from 4-6pm. 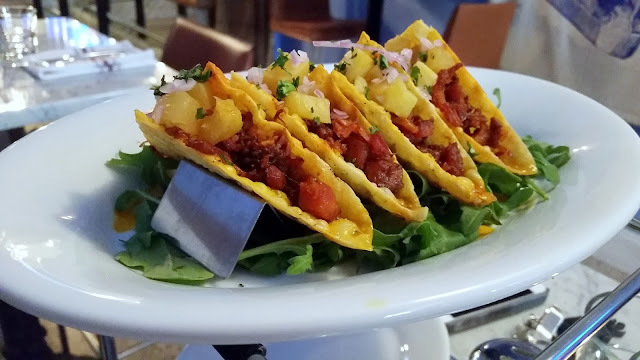 My favorite item on the menu was their pork belly tacos, as pictured, but there wasn't anything I tried that I disliked. Belle's Bread. I love this bakery for their selection of Asian desserts and the best green tea soft serve ever, but they have a lunch menu which I was curious about. I thought the food was decent, but in the future I'm likely to eat at Tensuke Express a few stores down and stop in here for just dessert. Salmon don. 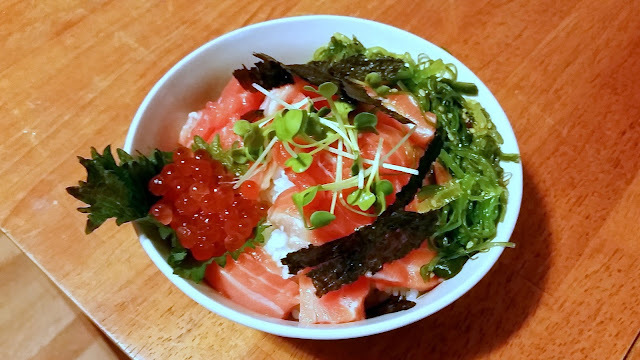 Khoi and I bought some sushi-grade salmon, fish eggs, microgreens, and seaweed salad at Tensuke, plopped it on a bed of rice, and called it dinner. This is seriously one of the best and simplest things I've ever had, albeit the ingredients are quite fancy. 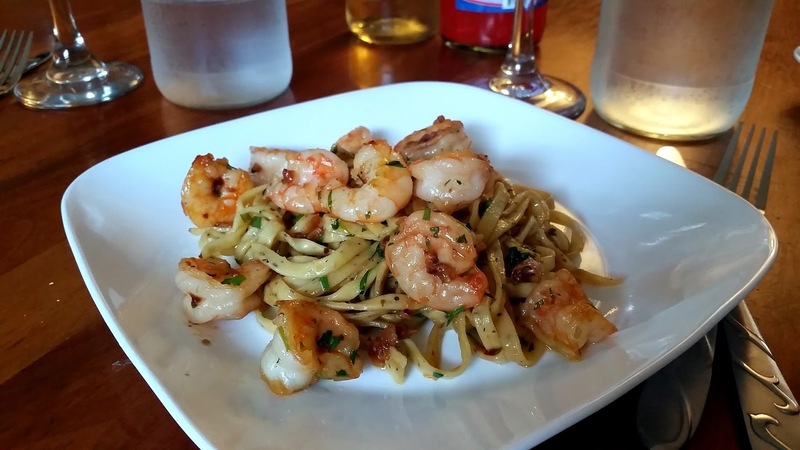 Shrimp scampi. Khoi got some fresh-made linguini from Market District and we went to town. So good. 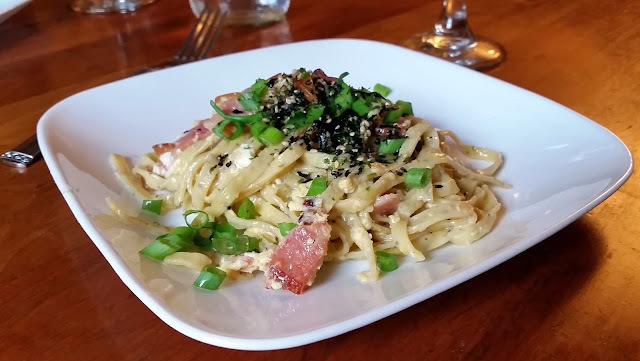 Japanese carbonara, using more fresh noodles from Market District. This tastes pretty similar to regular carbonara, which is among my favorite pasta dishes, but the addition of seaweed on top add such a wonderful kick. 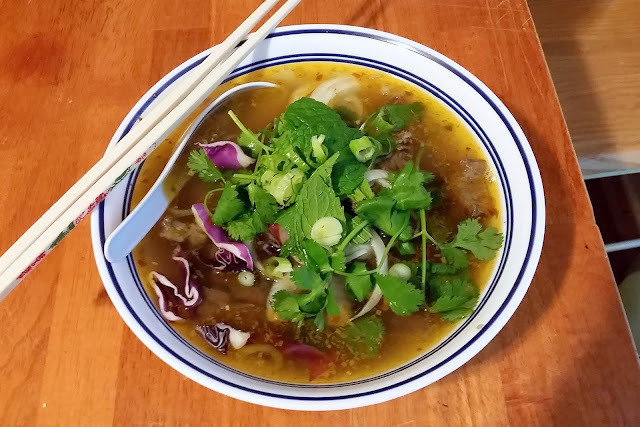 Bun bo, a Vietnamese soup dish with beef and vermicelli noodles. Khoi got this recipe from his dad, and I think I like this more than the pho (which is already great). Nutella pancakes, because this video.